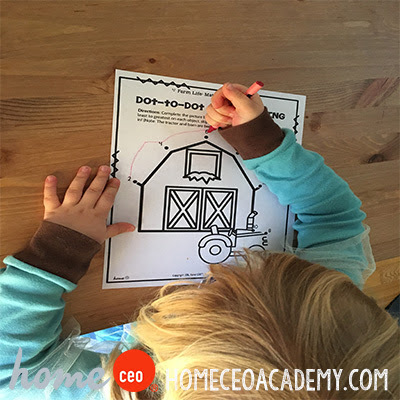 Kylie and I learned about farm life this week! 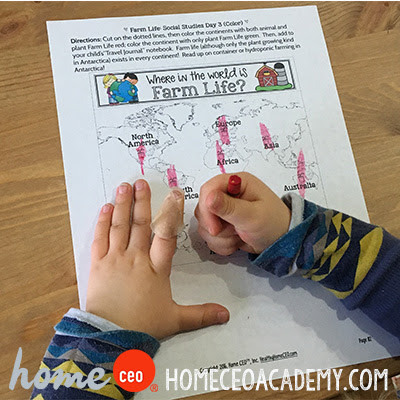 Farm life is part of our 30 week age 4 curriculum bundle. Want to join in on the fun? Click here! Did I mention that we now accept payment in Canadian and Australian dollars? Here are some highlights from our week! Building our theme board is by far, Kylie's favorite activity for the week. 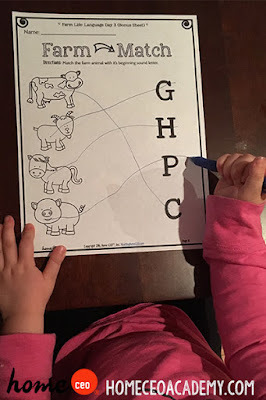 She loves the colorful pictures, and I love the learning new facts! I had no idea that cows have such an amazing sense of smell! 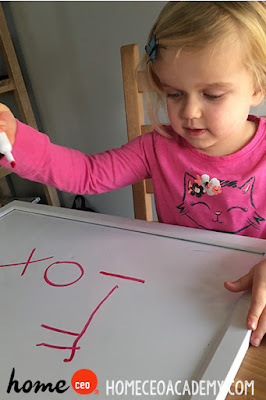 I love that handwriting has become a continuous exercise in our wake up, warm up activities! The weather in Toronto this week was pretty darn cold, so we spent a good chunk of our time inside this week. 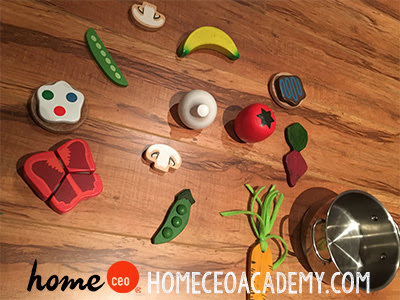 One of our gross motor activity cards said to "pick vegetables" so I set up this activity in our playroom. I threw some cookies and a banana in the mix to see if she would notice and she did! 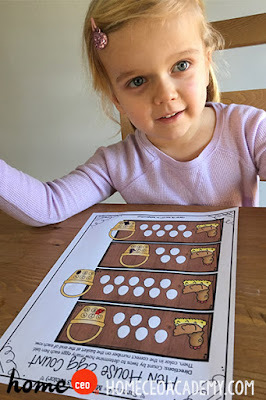 Our math lessons this week had Kylie skip counting to do a dot-to-dot and skip counting to count eggs...which lead to skip counting real eggs, black eyed peas, pom poms, and about 20 other items she found around the house. 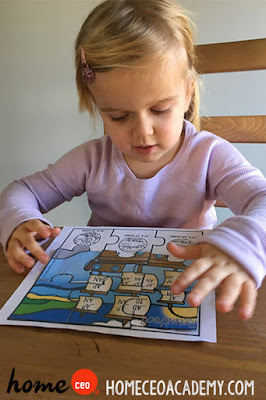 Only 3 more puzzles pieces to go until Kylie completes her Legend Of The Lost Words puzzle! "Momma, I know how to do this one already." Alright then! 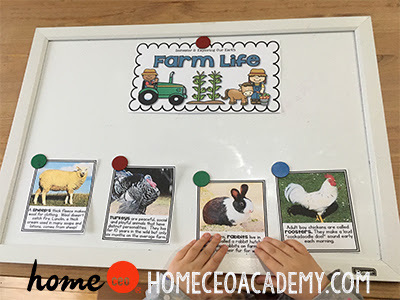 Farm life is week 18 in our age 4 curriculum. This unit can be purchase solo here, or as part of our part of our amazing 30 week bundle here. See you next week, when we learn about arctic life!